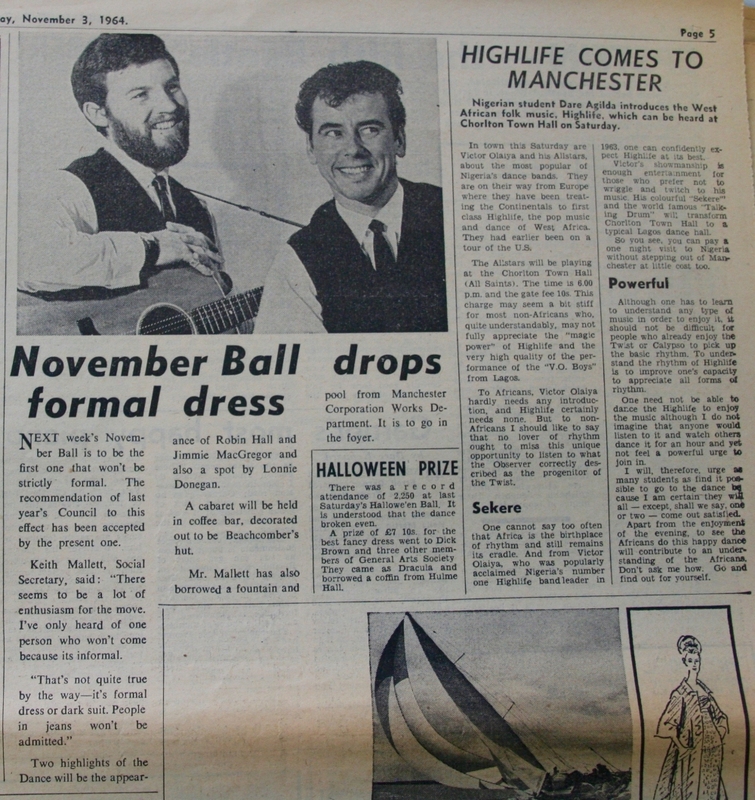 A piece from from the Manchester Independent newspaper heralding the relaxation of the dress code at University of Manchester's November Ball. Jeans, however, were not permitted. As well as a dance in the Main Debating Hall, a cabaret in the coffee bar, which would be decorated as a beachcomber's hut, was promised. Highlights of the dance included Lonnie Donegan and Robin Hall & Jimmie Macgregor (pictured). Equally fascinating is the article on Highlife, described here as a 'progenitor of the Twist'.